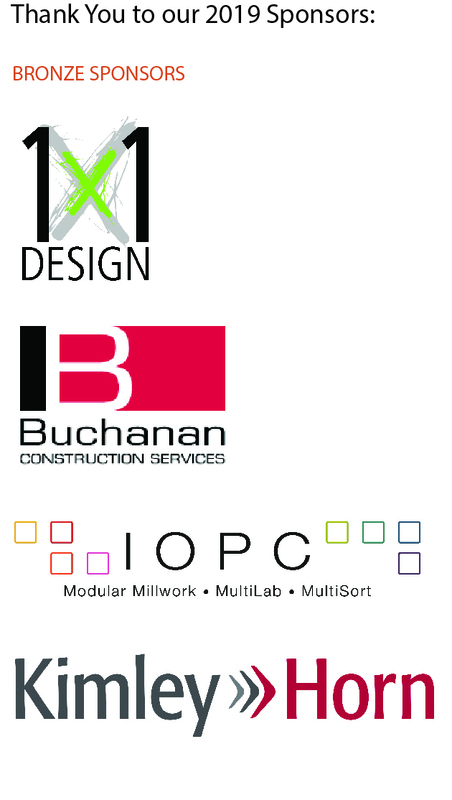 2012 Design Awards – Call for Entries!! The Greater Columbia Section of the AIA is pleased to announce the 2012 Design Awards program to recognize outstanding achievements in architecture performed by AIA Member architects and firms. This year’s Awards gala will be held on November 15th and we are very excited to have Frank Harmon, FAIA as our jury chair and presenter at the event. Frank Harmon’s portfolio might be regional, but he draws on influences and experiences beyond his native North Carolina. Although he started his architectural training at North Carolina State University (NCSU) in the 1960s, he moved to London to submerge himself in the city’s rich cultural landscape and to spend a year at the Architectural Association (AA). “The AA was the center of the architectural world at that time. James Stirling taught there. It was very exciting,” recalls Harmon. One year abroad turned into 11 (interrupted by a brief return to New York in the early 1970s to work for Richard Meier), and he started his first practice there. In 1981 Harmon founded his own firm, Frank Harmon Architect in Raleigh, N. C. His decision to return to his home state in 1981 was based on a desire to live and work there, not a retreat from the competition and rigors of New York or London. In fact, Harmon’s career disproves the conventional wisdom that challenging commissions and enlightened clients exist only in sophisticated metropolitan centers. It’s not often practical to build what one designs, but the occasional foray into the construction process has given Harmon a trust in wholesome materials and confidence that he can use them to make elegant spaces. The result is a vernacular modernism as slyly sophisticated as any found in New York or London. The work of his firm has been published in Architectural Record, Architectural Design and numerous other periodicals and books.Time magazine selected his Utility Storage Building for the Rake and Hoe Garden Center as one of the Ten Best Designs of 1988. Since 1992 Harmon’s six-person firm has won more AIA Design Awards than any firm in North Carolina. In 1995 he was awarded the Kamphoefner Prize for innovative modern design over a 10-year period. Harmon writes a column on architecture, landscape and design for the Independent newspaper. The first Annual YAF Yard Games Olympics will be held Sunday, August 26th, 1:30 pm @ Earlewood Park, see below for more info. 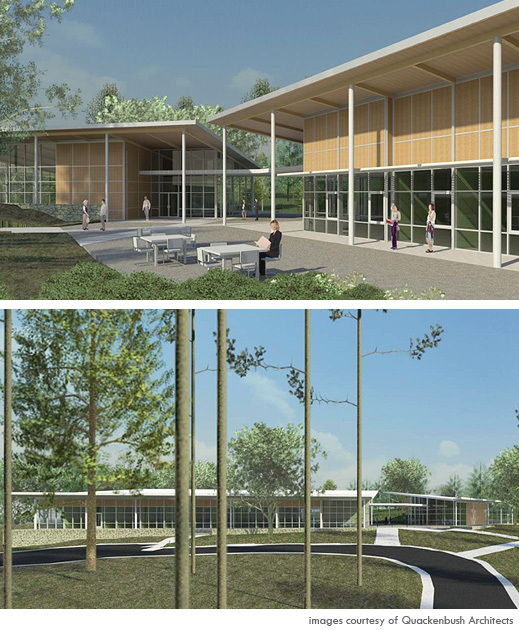 Columbia’s new Parks & Recreation Administration Building delivers on two fronts. First, it clearly establishes a forward-looking identity for the Department. Second, it successfully addresses the ever-growing need for community meeting space that is welcoming and engaging. Nestled among mature trees on a bluff overlooking Earlewood Park, the center is comprised of two parts – one public and one private. A breezeway connects the two structures to create a small campus of approximately 10,000 square feet. Another overt link is the public plaza that serves both buildings and also connects to existing parking to the north, disc golf to the west, and the tennis courts to the south. Each building is conceived as a simple, carefully detailed form. Together, the structures establish an iconic identity, yet are restrained, reserved and deferential to the park landscape. A plinth veneered in stone establishes the ground plane, with steel pipe columns and a glu-lam wood roof emerging out of this base. Walls are constructed of aluminum curtain wall, in-filled with glass, spandrel and stained wood. This effectively creates a light, transparent façade that opens the buildings to the outside. The design also features many sustainable principles, including the use of recycled materials, energy efficient mechanical systems, generous day-lighting, ample views, and minimal impact on the site. Join us for the first Annual (Y)AF Columbia Lawn Games Olympics! Test your skills at bocce ball, Frisbee golf, Corn hole, and other (not so) athletic events! Burgers and hot dogs will be provided!